Rab's history dates back to progressive Roman times, when Octavian Augustus built the town walls and made Rab a municipality. 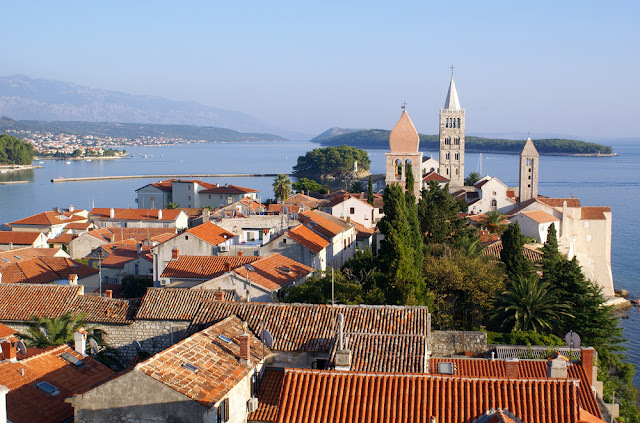 In the Middle Ages, Rab was part of the Byzantine Empire, was then briefly owned by the Kingdom of Croatia, followed by rule under Hungary, Venice, Austria, and Yugoslavia. During WWII, the Italian Fascist Regime installed a prisoner camp on Barren Island, just off the Rab Old Town Peninsula. The camp closed in 1943. Tourism then returned to Rab, and vineyards, olive groves, vegetable farming, and fishing again became the focus, along with tourism. In 1991, Croatia's independence paralleled the opening of the Eastern Block countries, boosting Rab as a tourist destination for Europeans. Today, vineyards, olive groves, vegetable farms, resort hotels, and restaurants welcome throngs of visitors from all over the world. They come to view the four Venetian campaniles, or bell towers, and walk the cobbled streets while enjoying all the benefits this beautiful island has to offer. 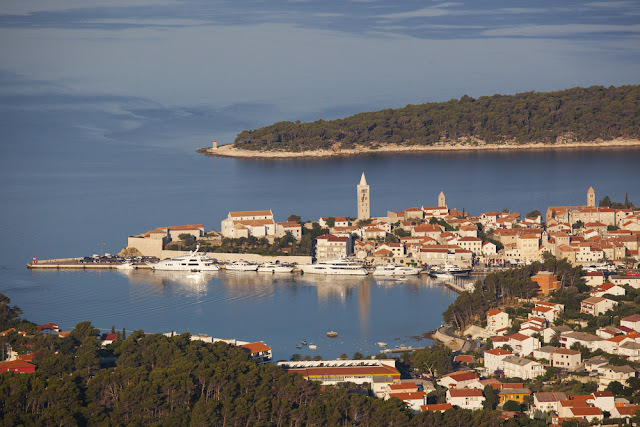 Ferries connect passengers from Stintica on the mainland to Misnjack on Rab, or from Valbisca on the island of Krk to Lopar on Rab. Rab is an island (and a town) just off the northern Croatian coast in Kvarner region of Croatia. The island is 22 km long, has an area of nearly 100 km² and 10,000 inhabitants. See ART Google Map for additional recommendations of places to see and things to do in Rab Island. Explore other destinations in Croatia.